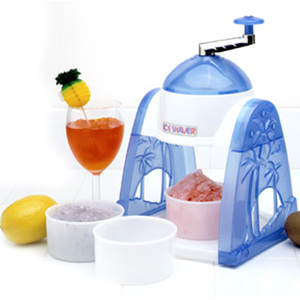 Now you can enjoy fun and easy snow cones at home. You can make snow cones and slushies at home. It is fun and easy to do-just add ice cubes and your favorite syrup. Rust proof steel blade. Has 3 containers for ice storage.